Dobra Hrvatska (Good Croatia) is a book published by Goran Tudor, editing texts of the best case studies of responsible organizational behavior in Croatia. 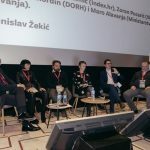 The publication is very valuable in Croatia as the first one that connected Sustainable Development Goals with the responsible practices of various organizations. We have participated in the book showing our case of non-financial reporting according to the Sustainability Development Goals. As the pioneers in the non-financial reporting in Croatia, we have previously offered creative solutions, such as the first online interactive report. Still, we remain the leader in the segment of sustainability reporting in Croatia. 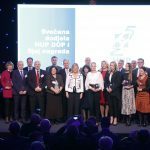 We are also happy that some of our clients – OTP banka, Cemex and HEP also participated in sharing their best sustainability and responsible practices. In the world that pays more attention to daily politics, populist solutions and superficial communications, the true sustainability and corporate responsibility practices case studies are very difficult to communicate. This is why we are endorsing this project, which is, in a way, a cornerstone of publishing the best practice in Croatia. We hope that the project will continue in the years to come.